Luxembourg could be giving online retailer an unfair advantage through its help in slashing the company’s tax bill said the European Commission on Friday. 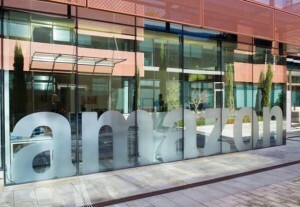 The commission, the highest European Union executive body, has alleged that Luxembourg helped Amazon by allowing the online retailer to essentially become two entities. One part is making money, selling products online, while the other is collecting royalties on its own brand. In Luxembourg only the company selling products online pays taxes. The commission believes that the way the profits at Amazon are split, might not be legal and wants to investigate Luxembourg for possibly distorting the market in Europe. Amazon said it did not receive any special treatment regarding taxes from the country, while Luxembourg officials claimed the way Amazon is treated does not equate to state aid. It is not just the first time that Amazon has been hit by backlash in Europe. A number of countries in Europe are upset with the behemoth e-commerce company for not paying local taxes. Amazon has a big hub in the country, which means that everything that is sold throughout the European Union is sold out of the country. Yes, it has hundreds of different warehouses along with logistic centers in Europe, but under the law in Europe, these are not considered permanent establishments. That tiny technicality however is huge because what is means is that Amazon does not have to pay any taxes in the individual countries that make up the European Union. Amazon is not alone in this. Other multinational corporations are being investigated by the European Union. There are similar allegations taking place in Ireland against Apple, the Cupertino, California based tech giant. At the same time, Starbucks with a tax base in the Netherlands has also come under a great deal of scrutiny. Amazon did not have any comment on the matter when one of its spokespersons was contacted about the tax issue.